As said above the overall built quality is hands-down top notch, including the side buttons and the scroll wheel. The plastic is top notch with matte finish. I don’t feel anything that can be counted as rubber grip. There is a soft feel in the section where you rest your palm and the grips for you thumb and your pinky, but far from being qualified as rubber grip. The left/right click button feels just the way it should and the scroll wheel is perfect. There is a “control” feel when you’re using the scroll wheel but you don’t need to take an effort to press the scroll wheel. Left/Right click buttons have a plastic (not in the fingerprint magnet sense) and the scroll wheel has a rubber-ish feel to it. 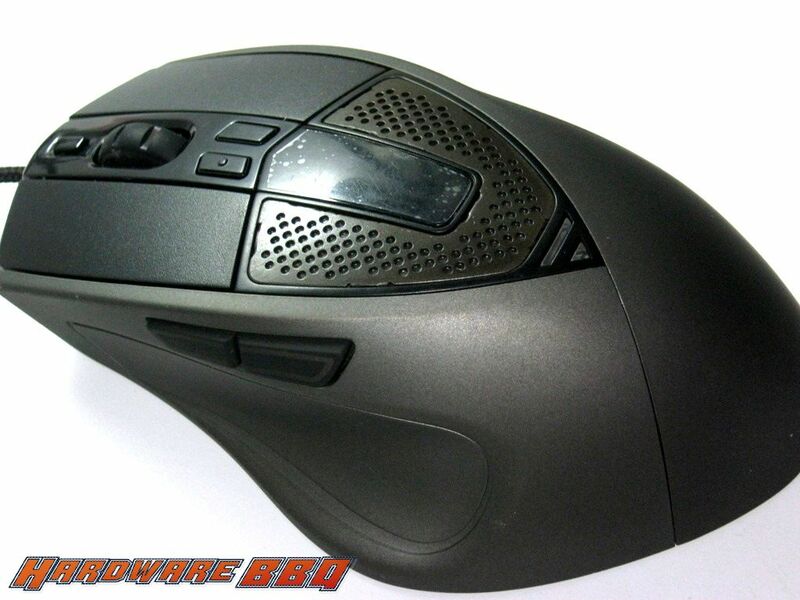 The side buttons have a smooth finish and placed just right for your thumb. The button on the top of the scroll wheel is to switch profiles. There are 5 profiles with each profile having its own colour that is visible via the mesh-type design around the screen and the 2x LED lights on the front. The case feets feel pretty slick and glides well over the cloth mousepad that I use. There are 2 large strips of mouse feets on the side 1 small piece on the top and 1 in the bottom. There’s also a ring around the laser. 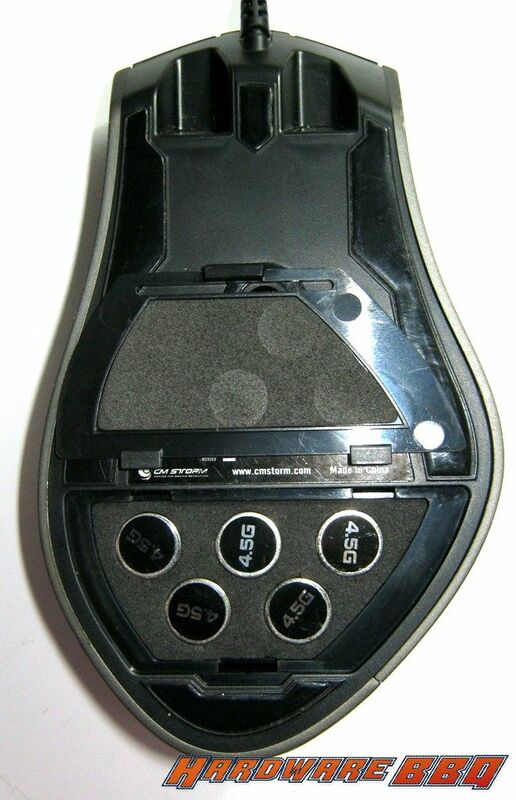 You can adjust the weight of mouse with 5x 4.5g on a foam pad. 3 of these were more than enough for me. The cables are braided with USB interface. The cable is about 2 mt. long. There are 2 buttons which is used to decrease/increase DPI level, but only 200-800DPI with 200DPI interval. 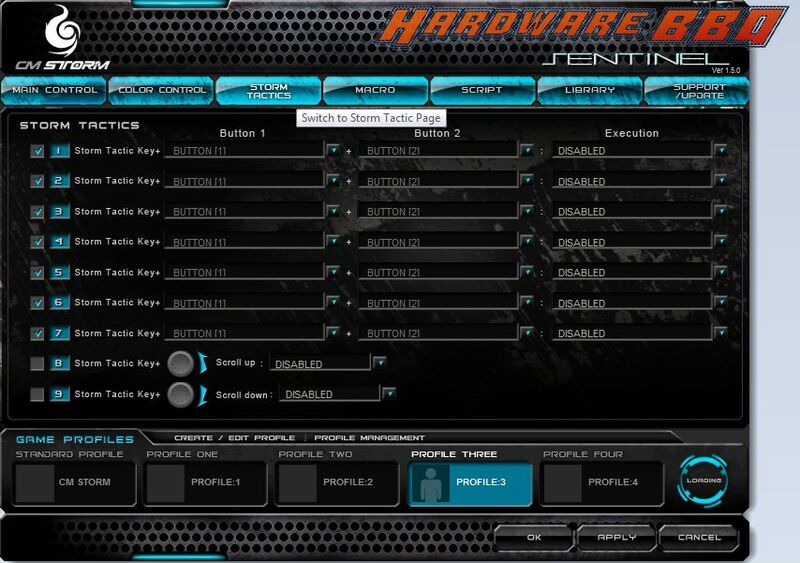 To increase, you’ll need to press and hold any of the DPI button and scroll up. You will see the increase in DPI. I didn’t anything more than 800-1200DPI by max. 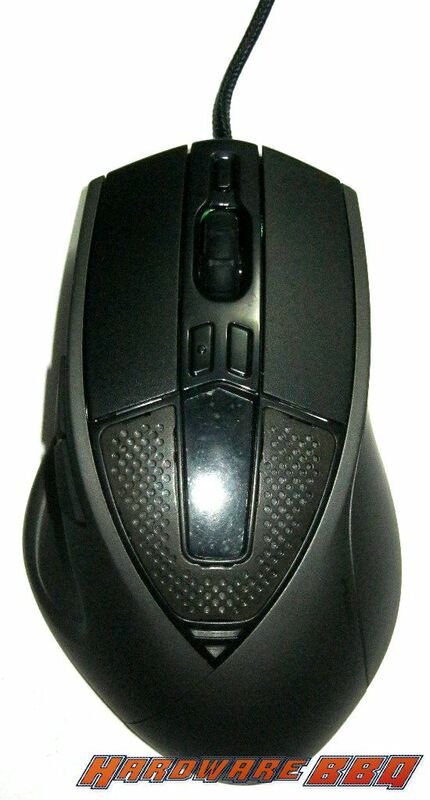 But the mouse lets you take it upto 5600DPI. But that’s it!! 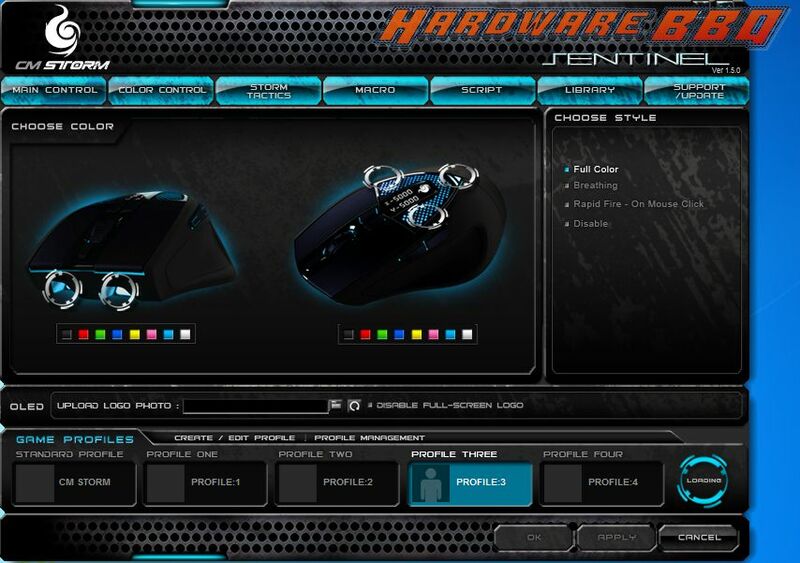 The sensor suffers the same drifting issue on Razer Goliathus Control Edition mouse pad that the other 2 mouse with dual sensors- Razer Imperator 2012 and CM Storm Inferno. 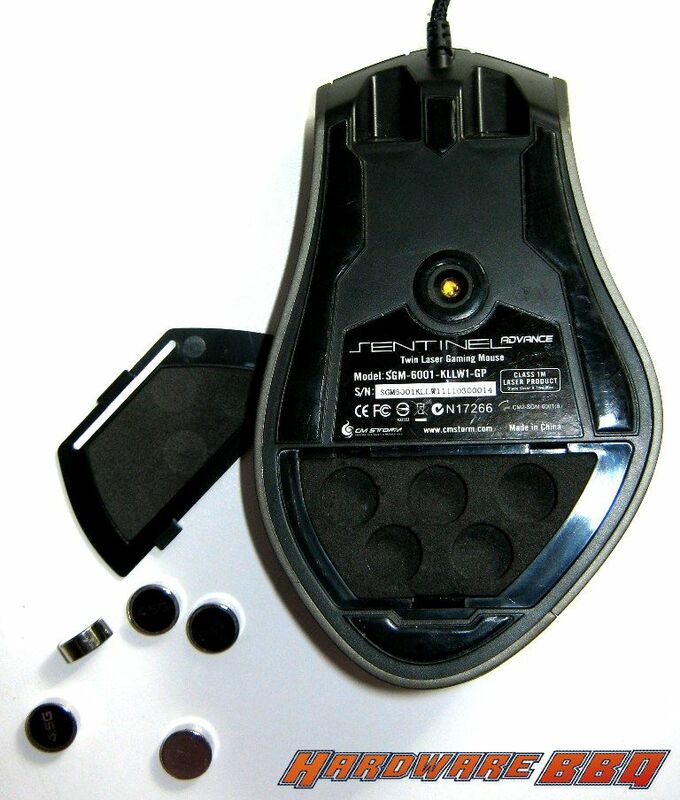 Sniping is more difficult with this mouse, especially if you are lifting your mouse and putting it to the desired position over the mousepad. Moving diagonally isn’t as smooth as I would like. 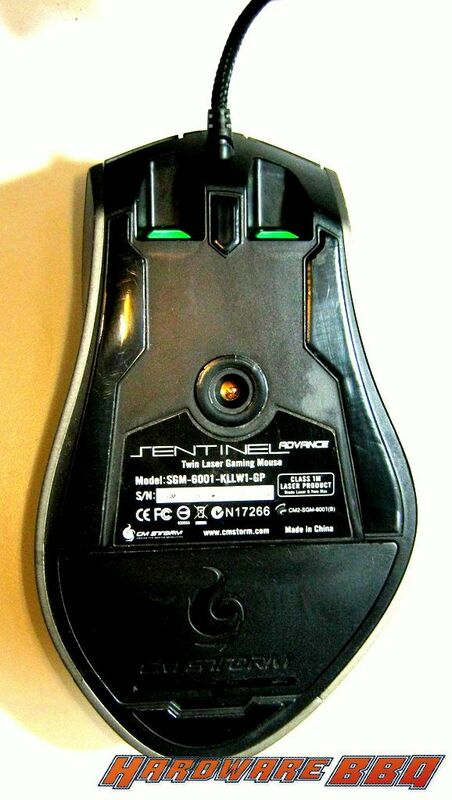 If you’re a guy who uses low DPI and prefer sniping in fps, this mouse is a challenge unless the target decided to stand in one place. 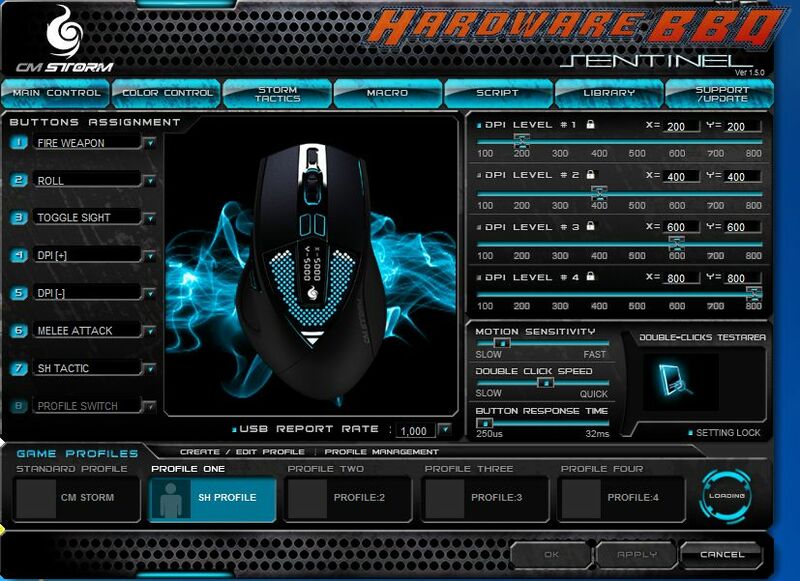 A gaming mouse that doesn’t work the way it should on a cloth mousepad? That’s a serious turn-off. The only DPI that reduces drifting is 200DPI but you’ll have to move the mouse a lot for that. The software comes with way too many macro options but CM also included a memory reset tool to clear all the settings that you’ve saved on the mouse, including macros and DPI settings/colour scheme setting for each profile. Here’s something I stumbled upon- the “Enable Current Optimization” doesn’t work. If you set your DPI level through the mouse instead of the software and you launch the CM storm’s software for whatever reason, the DPI level recorded by you gets overwritten by the DPI setting that is preset on the software. 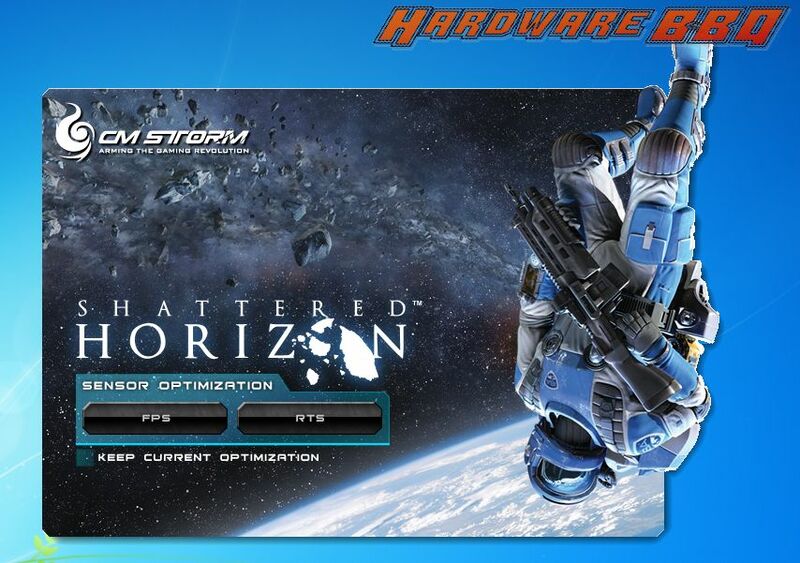 Ticking enable current optimization didn’t help, even with the 1.5 ver cm storm driver. By max, most of the users will use main control, colour control and even storm tactics, but that’s about it. 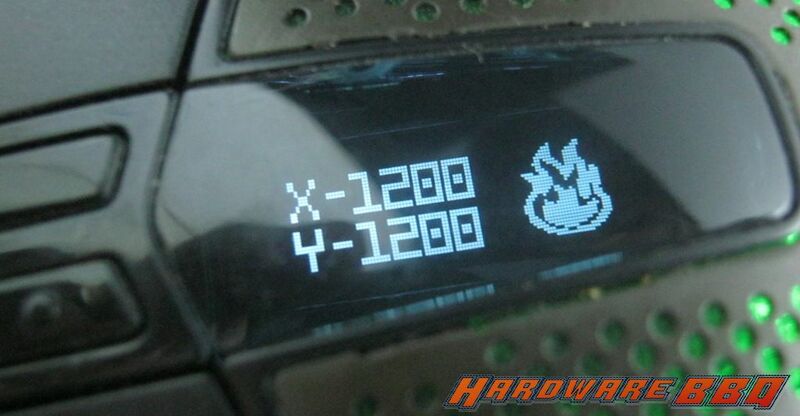 The driver lets you use a 32 x32px BMP logo in black and white format to display on the OLED screen of your mouse but on idle mode it enables shattered horizon logo throughout the OLED screen. You can turn off the full-screen logo but in its place you cannot use your own. 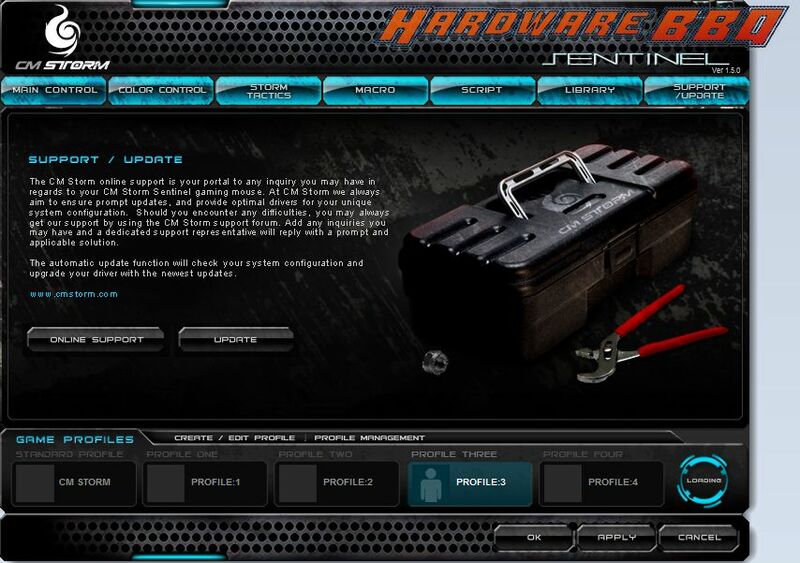 It would be nice if Coolermaster could do something like that. You can set the DPI level for x and y axis independently via the software. 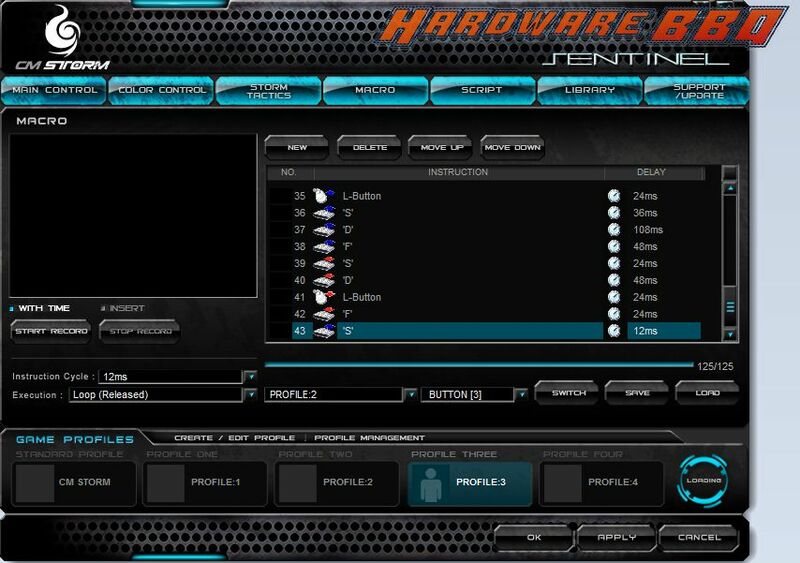 Like Inferno, you can remap all the buttons on the mouse- except the profile switch button. 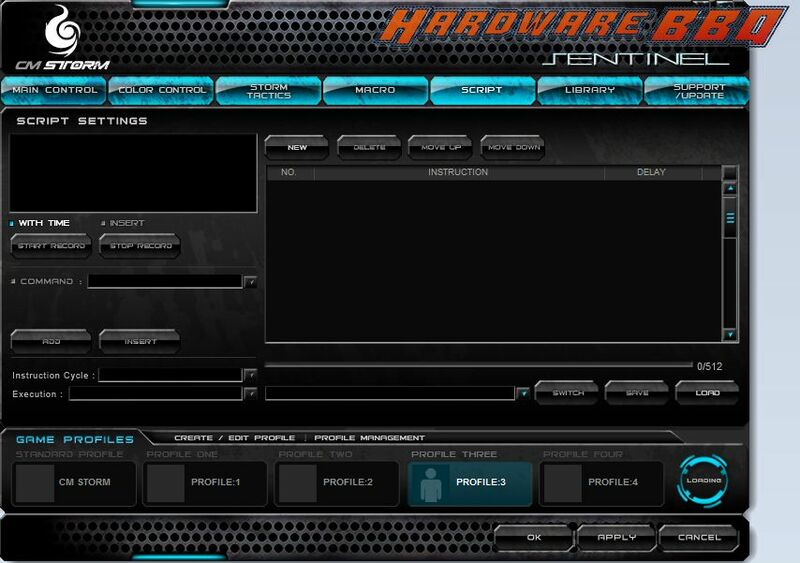 However, just like inferno you cannot increase anything more than 800DPI on the software. The “disable” style option does turn off the lights, but not the OLED screen. There are 7 LED colours that you can select for the front and for the vent lights on top individually.